Zero valent iron nanoparticles have an attracting and ever growing interest in various research fields due to the fascinating potential. 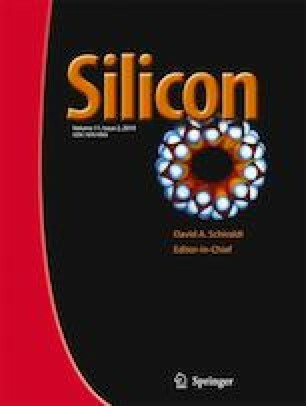 In the present work, antimicrobial activity of zero valent iron supported on silicon carbide nanoparticles for the first time investigated. Thermal gravimetric analysis (TGA), dynamic light scattering (DLS), vibrating-sample magnetometer (VSM), Fourier transform infrared spectroscopy FT-IR, scanning electron microscopy with X-ray microanalysis (SEM-EDS), X-ray powder diffraction, transmission electron microscopy (TEM) and N2 adsorption isotherms, indicated that the zero-valent iron was successfully deposited onto the silicon carbide surface. Anti-bacterial activity against human pathogenic bacteria suggest strong practical applications of modified silicon carbide nano particles with other nano particles as a new antimicrobial agent due to their proper pore sizes, high specific areas, and high mechanical and chemical stabilities. The authors are grateful for the financial support (Grant number: 32/1012) from the Research Councils of Ilam University.